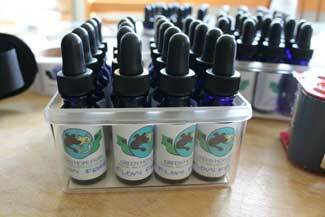 Green Hope Farm Flower Essences are available by mail order. They are delivered to you with the hope that when they arrive at your house you will feel a wave of LOVE coming to you from all of us at the farm. "Us" includes those with wings, those with feet, and those with petals! Call and leave us your order on our answering machine 603-469-3662 and we will send your order off to you with an invoice tucked in. We ask that you send us a check or money order in the mail or pay us on pay pal when you receive your order. 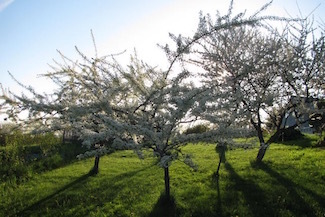 • Mail us a list of Flower Essences or other products you would like to receive to Green Hope Farm LLC, PO Box 125, Meriden, NH 03770 and we will send you your order with an invoice that you can pay by check, money order or on pay pal when you receive your order. • For Flower Essences from our Additional Flower Essence list, click here! Need help choosing Flower Essences? PLEASE email us with any questions and concerns! We are on email Monday through Thursday from 8:30 am to 4 pm! From seed to blossom to bottle, our Flower Essences are made with much love and care. We do everything we can to ensure the Flower Essences you receive are full of vibrant electrical information. The Angels keep the gardens closed to visitors and sometimes ask the staff to stay out of the gardens as well. This helps the Angels create the highest vibrations Flower Essences possible. If the Angels ever shift gears and open the gardens we will let you know! Our first season when the gardens were open was a wonderful adventure of meeting many of you face to face. Since then we have made marvelous friends with many of you via email, phone and letter! We love sharing photos of the gardens with you on our website. It fascinates us what Flower friends you particularly like! And, we'd love for you to become a part of our story! Please share your story about how Flower Essences have impacted your life! Send us your Story. Our Essences contain Flower Essences, organic Red Shiso, white vinegar, and water. Our products contain no plant materials. Our Essences come in cobalt blue glass dropper bottles. The 1/2-oz. size bottles are packaged in Green Hope Farm bottle boxes of various colors. Our Essences are priced based on bottle size and whether they are a single flower or a combination. All orders will also include a shipping charge. 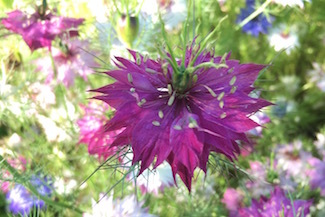 Combination Flower Essences (a pre-determined blend). 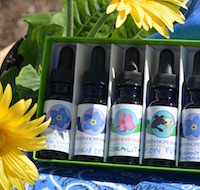 You may want to create a custom mix of Flower Essences for yourself or a beloved in your life. We are happy to make a custom mix of up to 12 Flower Essences of your choice to put in a 2 ounce bottle for the cost of $50. If you would like to consult with us about what should go in a specific custom mix, we would be happy to support you in this process and will do our best to work with your Angels and our Angels to receive guidance about what Flower Essences would best serve you at this time. Also, look at other products HERE! We Ship Orders to All Corners of the Earth! 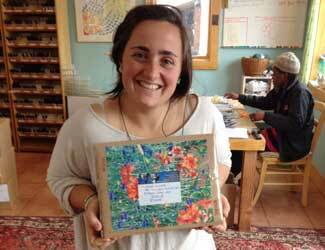 No matter where you live, we can deliver Green Hope Farm Flower Essences to you! We ship your orders by US Mail. • If you prefer UPS, we can ship by UPS. • If you need Express Mail, UPS Next Day Air or UPS Second Day Air, we will charge you the exact cost of the shipping. We make every effort to get orders out to you the same day we receive your call or email, but orders received late in the afternoon may be sent out the following day. Orders placed late Thursday afternoon through Sunday evening will be sent on Monday. After you place your order, we will send your Flower Essences to you with an invoice for the amount due enclosed in the box containing your Flower Essences. We put this invoice on the top of your order, so it should be the first thing you see when you open the box. We ask you to please pay us when you receive your Flower Essences. Please send a check or money order made out to Green Hope Farm LLC. We have had this honor system since our very first day and it has helped us build incredible friendships with all of you. 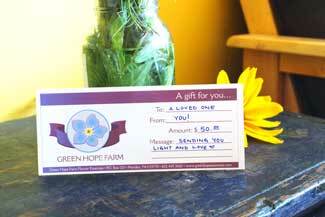 We truly have wonderful customers who pay their Green Hope Farm bills with great integrity and reliability. We thank all of you for continuing in this tradition of integrity! We welcome all international orders! Each week we send orders all over the Earth! Whether you live in East Timor or East Anglia, we have found US Global Priority mail to be a reliable, affordable, and efficient was to send your order. We are happy to work out other shipping options with you as well. On all international orders, we charge you the exact cost of the shipping method you chose. With so many changes in international banking systems, we have finally moved to a PayPal system to make things easier for our international friends. We will invoice you on PayPal when you order from us and also send you a copy of our invoice by email. If this does not work for you, we're happy to arrange another payment plan with you. Contact us for more information! If there is something missing from your order or if you received something you did not order, please call or email us! Together we will sort things out and make sure you have what you ordered. Thank you! Please note that due to the vibrational nature of Flower Essences, all sales are final. We appreciate your understanding that we cannot accept returns or give refunds. We do not accept returns for credit. Please do not send bottles back to us for credit. We do not reuse any Flower Essences returned to us under any circumstances. We are meticulous about this because we want to safeguard the vibrational purity of our Flower Essences, and we cannot vouch for the vibrational purity of any Flower Essence after it is out of our hands. Our Angel of shipping, Nathan, makes sure that this means the Flower Essences are under Green Hope Farm's vibrational protection until they are actually in your hands. Then the baton passes to you and your divinity! Is a friend getting married or having a baby? Is someone in your life going through a tough time or facing an illness? Is there a new pet in the family? Is someone moving or starting fresh and in need of a little support? Essences make beautiful and thoughtful gifts for friends and loved ones. • Angel Sets: We suggest starting out with one of our new Angel Sets! • Our Rose Trios make excellent gifts! • We also think that our family cookbook, The Things We Cook, makes a pretty special gift! Molly shares her family's secret recipes and it's beautifully hand-illustrated by former staffer Alli Howe. • Lizzie's book, "The Trail," and her set of Camino Essences are designed to take the reader through a journey of discovery and self-awareness. A good gift for a recent grad, perhaps? • A Custom Mix: You can mix and match up to 12 Essences in a 2 oz. bottle. We'll create a custom handwritten label on the bottle. • We encourage you to explore our products in the Flower Essence Finder! We also offer gift certificates: Email us for more information or to purchase a gift certificate. Gift certificates can be sent to you or to the recipient. We will invoice you the order and can ship the gifts directly to the recipient. We'll also work with you to include a personalized message in the package, and can wrap the gifts with ribbon as well. We are always happy to help you choose a set of Essences for a gift. We welcome wholesale arrangements with health care practitioners, veterinary practitioners, distributors, and retail stores. Call, email or write us for more information about our terms. 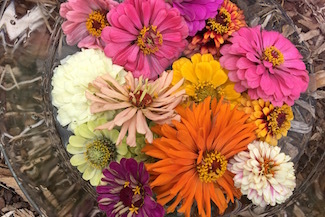 Green Hope Farm is organized to fill any size order, however we do not do private labeling and ask that you do not re-label our Flower Essences with your own label. The Angels and Elementals of Green Hope Farm are responsible for the healing strength of our Flower Essences, and we like that our labels give full credit for their work.